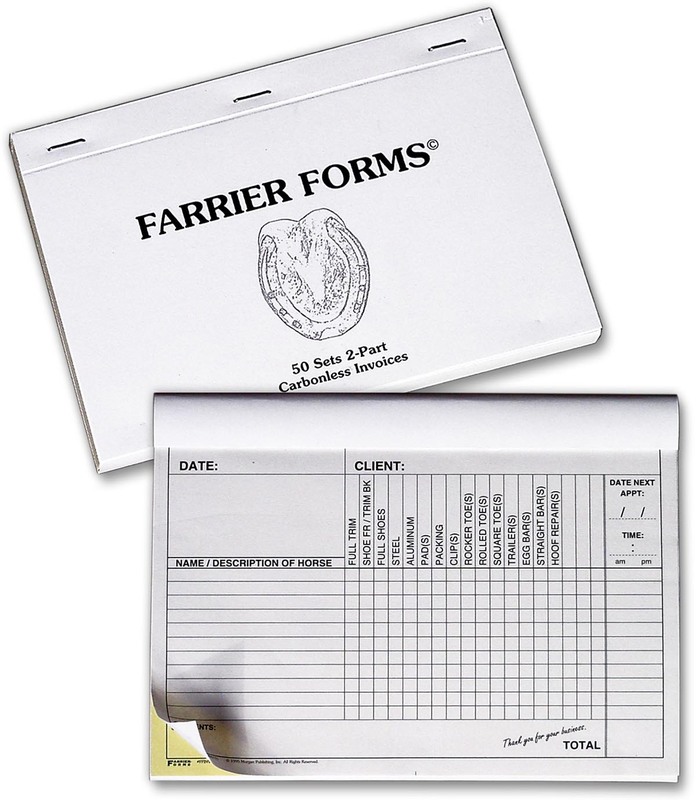 Pad of 50 2-part sets 5.5" x 8.5" carbonless invoice pads with cardboard wrap-around cover. Has detailed listing of shoe modifications and types. Space for 11 horses per page. Sorry, no custom imprinting available on this style.